Two sister weeklies are set to move into a former shoe shop after nearly 60 years in their current office. Iliffe Media has announced the Lincolnshire Free Press and Spalding Guardian will move to a new town centre base on Francis Street, just a two-minute walk from their present headquarters on The Crescent, in Spalding. The move to the Francis Street site, formerly Revills shoe shop, is expected to take place by the end of the year. The Guardian and Free Press were among 13 Johnston Press titles bought by Iliffe last year, and the planned move follows a trend which has seen the company install its publications in new town centre premises. Other Iliffe-owned titles to move to new offices in the past two years include the Haverhill Echo, Lynn News and Grantham Journal. Jeremy Ransome, editor of the Free Press and Guardian, said: “When our newspapers were purchased by Iliffe Media in January 2017, it signalled a new and exciting chapter in the long history of the Lincolnshire Free Press and Spalding Guardian. “Iliffe Media is a family-owned firm with community values at its heart and this move to new offices shows our commitment to serving our valued readers and advertisers for many years to come. Iliffe Media Midlands managing director Richard Parkinson added: “This investment underlines our commitment to remaining at the heart of the community our newspapers have served since 1847, when the Lincolnshire Free Press was founded. 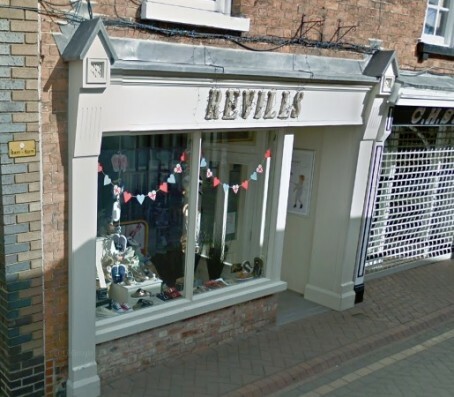 Family-run Revills closed last month after nearly 50 years of trading in Spalding. Owners Stephanie and David Sanderson said: “We have enjoyed our time at the shop, looking after families with quality footwear in a lovely part of Spalding, and would like to thank all our loyal customers. “We are very pleased that Iliffe Media has acquired the building and it is good that as one family-run business leaves, another family-run business comes in. I don’t know how Iliffe is faring as a whole in this tough economy but as a former employee I’m heartened by its policy of supporting and reopening town centre offices. If there’s to be any chance of the company and its titles succeeding, it has to start with that grassroots presence and it seems to be the only publisher that “gets it” in that regard. If the success of the Bishop’s Stortford Independent (now produced by a team of my former Herts & Essex Observer colleagues) is anything to go by, it’s a no-brainer for staying relevant to the readership.